I will be teaching a mathematics class this Fall for middle and high school math teachers. 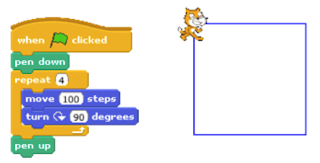 The course requires that students do a bit of programming in the Scratch environment. 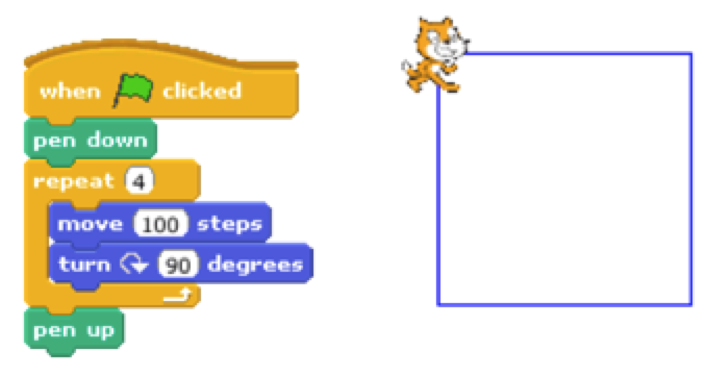 To smooth their entry into Scratch, I have written three Getting Started with Scratch documents. The first document guides the reader through the steps of building a script that draws a square with a side length of 100 steps. 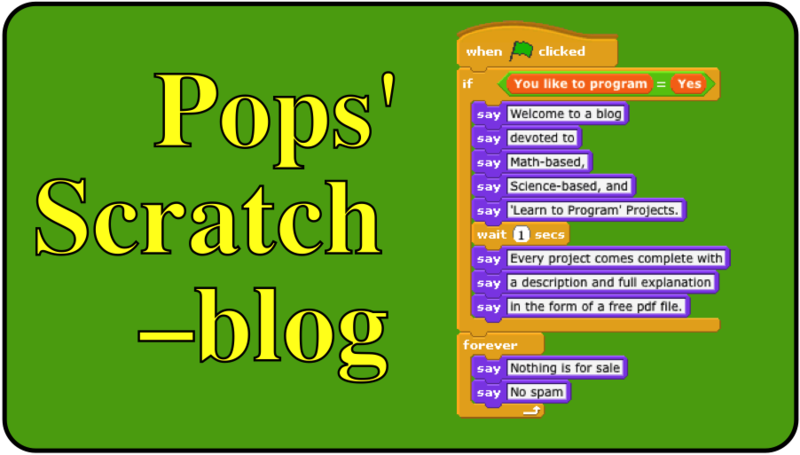 This introduces the blocks menu and the mechanics of connecting blocks together to build a script. The second document describes how to create variables, sliders, and how to set the minimum and maximum values in a slider. The size of the square is now under variable control. The relationship between the number of sides and the turn angle for a regular polygon of n sides requires a bit of mathematical analysis.